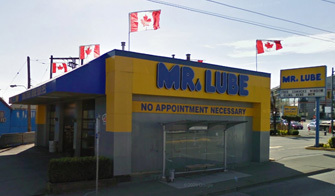 Mr. Lube is located on the corner of Main Street and 2 Avenue, two blocks south of the Main Skytrain station. Visit this location for your automotive maintenance needs. No appointment necessary.